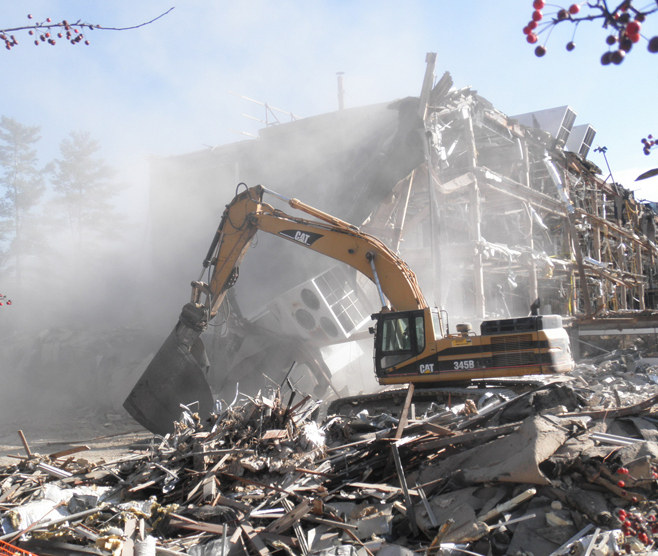 CONSOL ENERGY HEADQUARTERS BUILDING DEMOLITION — Burchick Construction Company Inc.
Burchick Construction worked under aggressive schedule requirements to complete demolition of the existing Consol Energy Headquarters building. This building consisted of a four-story office building representing over 120,000 square feet of usable office space. The structure consisted of concrete slab on deck on a structural steel frame with a combination wood and glass exterior facade on concrete spread footings and caissons. 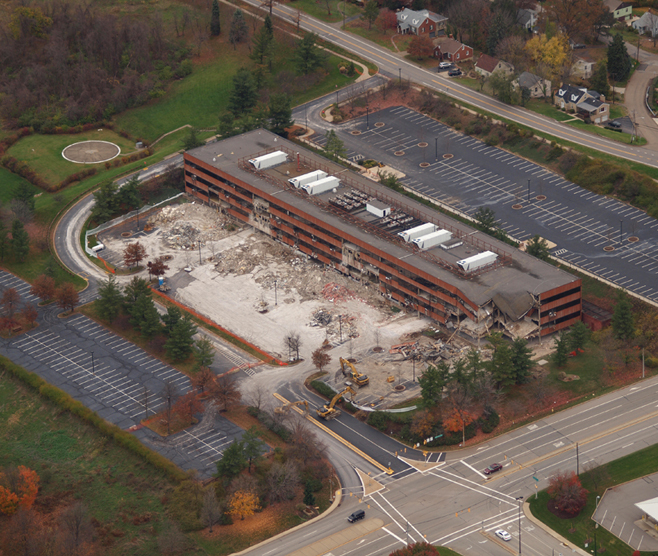 Burchick Construction supervised the demolition of this building which contained over 2.3 million cubic feet of space. Prior to deconstruction, Burchick Construction coordinated the removal of any hazardous materials from the site. This included asbestos abatement, extraction of any hydraulic fluids from the elevator systems, and removal and certification that all ethylene glycol had been extracted from the multiple chiller systems located throughout the building. Where possible, all waste streams were recycled to provide maximum benefit to the Owner. This included structural steel, aluminum, copper, and other metals. All concrete was stored on site and crushed for future land development use. Burchick Construction substantially completed this work in a 90-day period to meet rigorous Owner schedule requirements.